More toilets at the front – just not shown on the truncated seat map! Meant to comment yesterday but got pulled into a work situation. Undoubtedly a good effort here by BA. Looking forward to flying their A350 on one of my regular Dubai trips. Perhaps its me being an bit OCD but I wipe down most surfaces with a wipe when I’m flying, regardless of how clean it does or doesn’t look. I would love to try one of these new seats one day, but actually I love the current CW. I’m only 5′ 2″ so the whole experience for me is one of being cocooned in my own (good amount of) personal space. It’s the service that really makes it or breaks it for me. Hoping the crews on this year’s J flights match the fabulous ones on our LHR-IAD and BOS-LHR last year, and not our LHR-GCM (and back) where the crew seemed to be taking their duties as some sort of punishment! No Bits today and BA-related – anyone managed to use a Lloyds voucher in the past with a domestic connection on Flybe? Obviously no upgrade possible but wondered if even do-able? 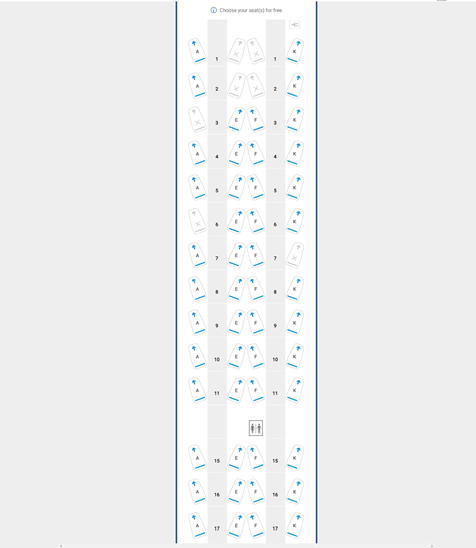 Trying to make a booking that has long haul availability but no BA domestic connection available. If pay for separate ticket then not protected for misconnect or through checked bag. Sadly not, the voucher clearly states BA mental only. Best option is to fly BA mental down the day before perhaps. Yeah that was my thinking too, BA Twitter been less than useless. May end up opting for different destination, very frustrating they don’t open up connecting flights in this situation. Any news on whether they’re going to retrofit the A380s? I used my Curve card to withdraw €150 (+ €2.50 ATM charge) on the 15 March, linked to the Virgin Black card. Notification from Curve said that was £130.07. That’s showing on my Virgin account. Nothing else, as yet. I don’t know about you, but I really object to be expected to pay to reserve seats in Club World (£60 – £90) over and above already expensive fares even if part paid in Avios. I have even been asked if I had paid to reserve seats when travelling in 1st Class. I do like to speak to my travelling companion without getting up. Michael O’Leary must be proud. It’s annoying but I guess if seat selection was free then people with status would complain about their status being devalued. 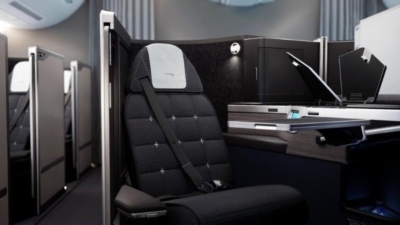 First of all British Airways must be commended for introducing such a high quality product to represent their J Class. I value direct service to the far east and have enjoyed all my BA F travel there,(Thank you again Rob). However with the the removal of the gymnastics needed to jump over your guests legs (with the future new Club Suite), this could make me consider their new upcoming J Class, instead of my usual F seat. I disagree that there is no future for F with this new J product. With BA upping its Business product it only makes sense that they now turn their attention to a new F product. Since the feeling felt by many of “why should I now pay/use my avios on F, when J is now perfectly acceptable?” will also be thought by BA management. Admittingly, at what speed the new J product will come on line is debatable. So we can safely say that the A380,newer 777’S and 787’s will have the new Club suit fitted. With a reduction of F capacity on 777’s. So lets look at how do you improve BA F? I don’t have any complaints regarding the current F hard product in the air. I value the smaller cabins and the classy ambiance. 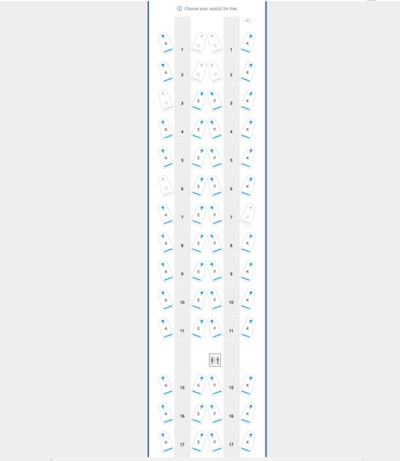 Sure you can look at what Emirates is doing with their new F or you can look at the elegant and yet simple “Curtain” that Air France uses in its F product. However with the introduction of an opening and closing door element to the new J, its follows that a new BA F seat, would also need a door,(gimmick or not). I say this because they’ll be a new attitude by some F passengers, thinking well if they have it in J, why can we not have it in F? I feel that the real difference that will separate a new F and J will be a higher quality soft product experience in and out of the sky. We can see that BA is already introducing in air soft product improvements ,from the end of the month. I’ve always had a very good experience from the staf in BA F. Maybe you could train them to give some more knowledgeable advice when helping you choose a wine but I am not expecting them to be trained to Sommelier/ Etihad Butler level’s either. I personally like to interact with the BA staff. I’ve always found a smile and a warm thank you, goes along way to making the whole service experience far more pleasant. What must be addressed is the off plane experience. With the Concorde room being re-designed. BA could do no worse than look at Cathay Pacific’s The Wing. Personally I am far more confident that with the new J seat, improvements to F will now follow suit. With this forward planning, it will keep the J and F separate, so that there is a clear difference between them. Overall BA F and J Passengers are facing some interesting times. Now the waiting game begins…. Agree with all you say, have been discussing same prospects throughout the thread. It will be v interesting indeed to see what Improvememts F can gain. Def soft products, good point there, and lounges. Oh to have a PIER/WING type lounge here. Would be just amazing. We too have enjoyed many 241 trips to Asia in F, v enjoyable, and hope to have many more. But in the meantime, it will be nice to actually want to fly BA J to Asia, instead of avoiding it. Roll on the new BA. Can’t wait. I would possibly put a new lounge experience above the a “new” in air hard product, in terms of importance when differentiating between J and F.
If I was Sr. Cruz I would be planing a visit to the interior design exhibition in Milan in April, to help get some new lounge ideas. I don’t even believe it would even eat too much into the Ba Investment budget to get something classy. 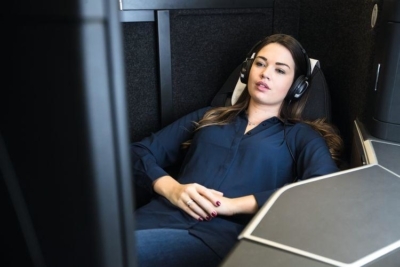 Together with more spa facilities so that people can actually get seen too before a flight or on arrival after a ten hour flight and before they go to their meeting. You mean “could do worse”. Or “could do no better”. 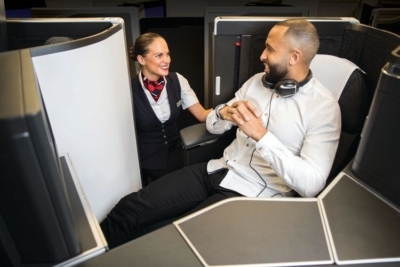 Great to see BA finally implementing this which has been well recieved by everyone ! If I am not mistaken I flew Turkish from Istanbul to Chicago on a 777 with an identical configuration 1-1-1-1 OVER 10 YEARS AGO. To get excited over BA finally catching up with the competitors is a bit premature, because over the next 10 years, the “real” (ie non low-cost) airlines will undoubtedly come up with something which will demonstrate just how backward BA really are in terms of seating. When do we get this on LHR-BKK ? No earlier than mid 2020 and possibly a lot later, unless it becomes an A350 route with no First.